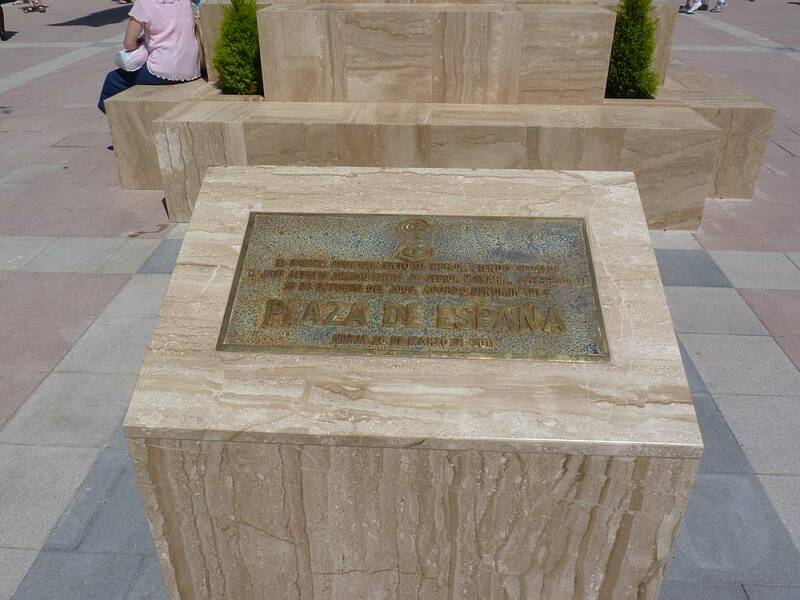 Plaza de España, formerly known as Plaza Paseo Nuevo, is a large square in the centre of town and is built on top of the municipal underground car park. 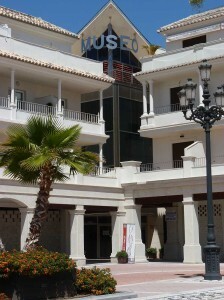 just behind the Town Hall. 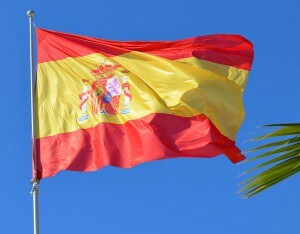 The square was officially inaugurated as Plaza de España on March 27th 2011 and the Spanish flag now flutters in the breeze high above the square. 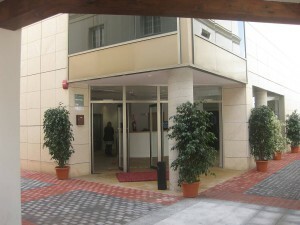 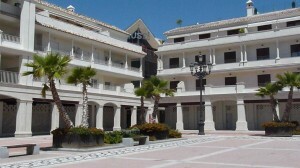 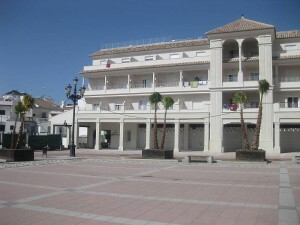 Despite having been built many years ago, only one of the many ground floor premises is currently occupied, this being the location of the Hotel Mena Plaza (Two Star). 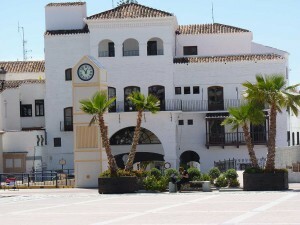 Plaza de España is, however, being used more and more for various celebrations, markets and special events, such as the Dia del Pedal, Dia del Residente and Day of the Tourist to name but a few. 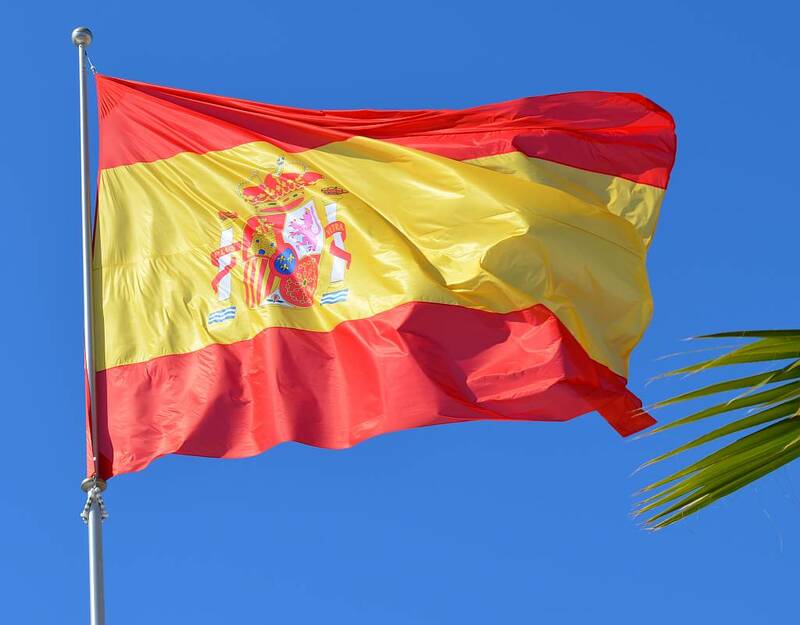 Plaza de España was officially inaugurated on March 27th 2011 and the Spanish flag now flutters in the breeze high above the square. 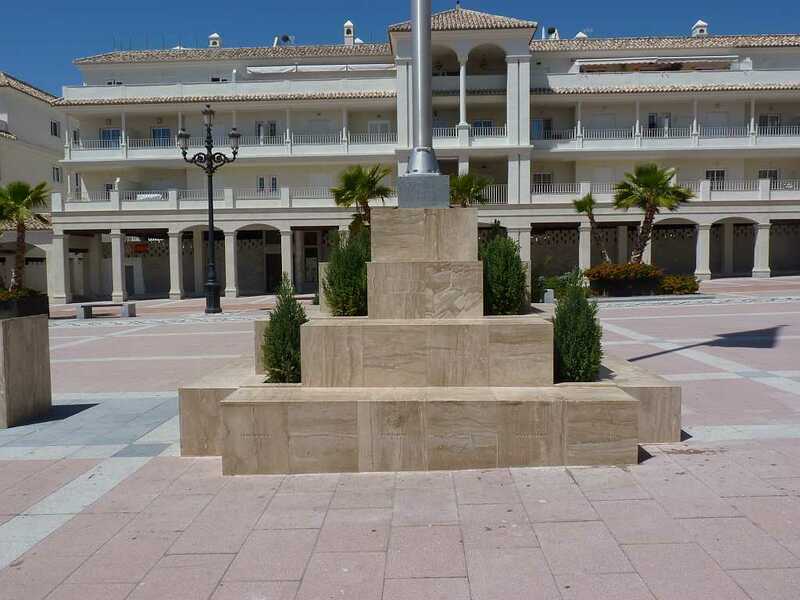 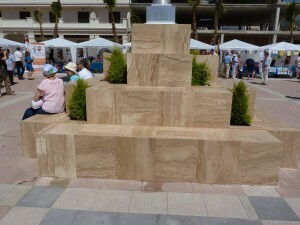 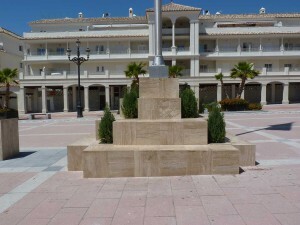 The plinth of the flagpole is made up of blocks bearing the names of the autonomous regions of Spain. 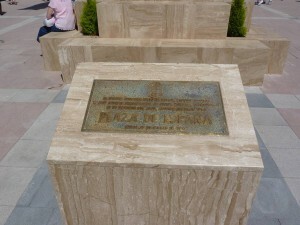 There is also a commemorative plaque. 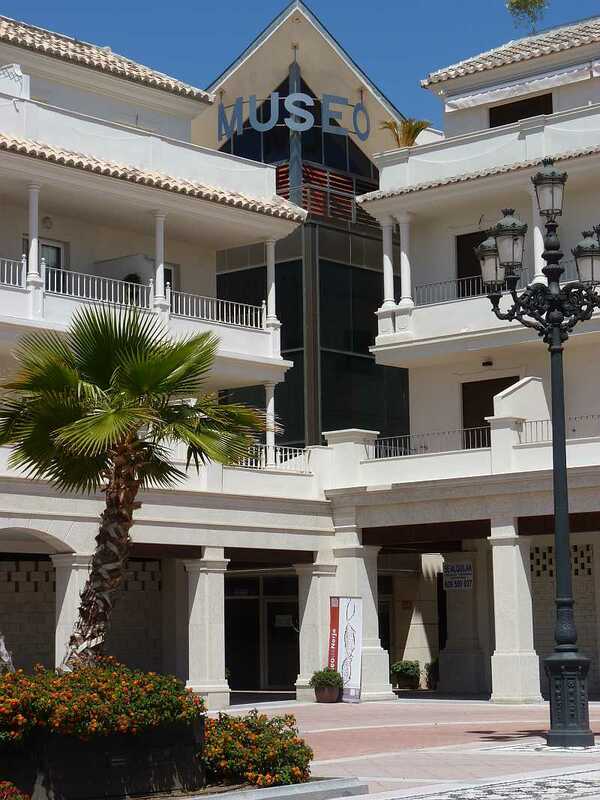 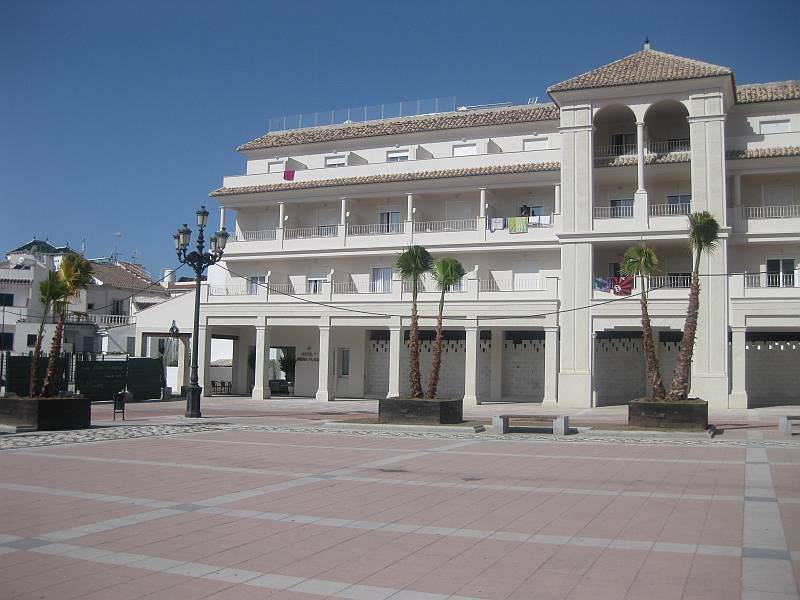 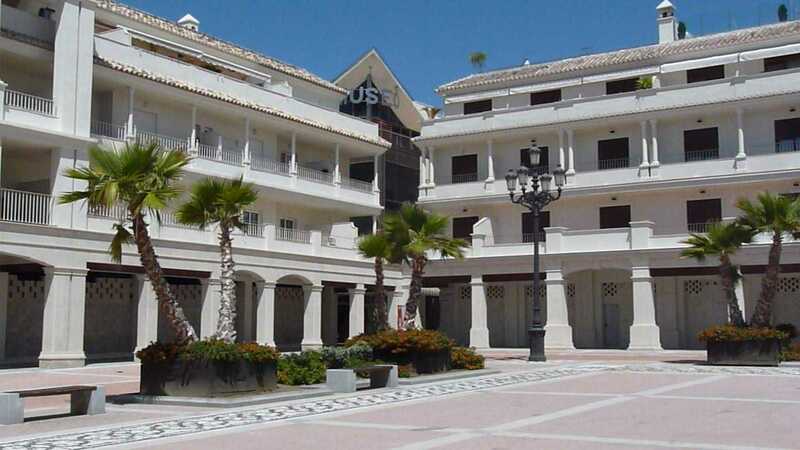 At the top left corner of Plaza de España is the Nerja History Museum, tracing the history of Nerja from Paleolithic times to the boom years of the sixties.